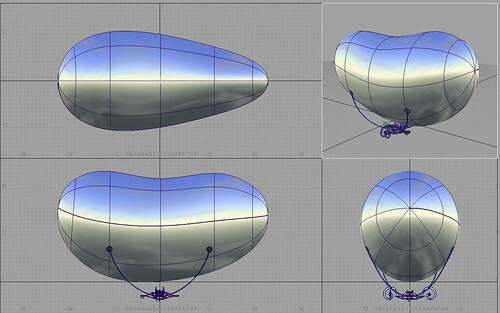 I’ve been collaborating with Art Center graduate student Jed Berk on his Autonomous Lighter Than Air Vehicle’s project, helping him create the version 2.0, a more connected, bloggy instance of the project. The ALAVs 2.0 are participatory â€”Â you can call them using your mobile phone and engage in a conversation that affects their behavior and your own. They’re also using a new design that brings them a step closer to being suitable for DIY, kit-based construction, which is pretty cool. We are living in the condition of the constant â€˜logged-inâ€™ through mobile phone, internet, recently emerged wireless technologies. The exhibition aims to reflect on the current state of connectivity and relationship among people, environment, clusters of information, and objects in the networked condition of everyday life. Works in the exhibition question the very concept of mobility, connectivity, locality, kinship, and physicality whether it is poetic contemplation or piercing critique. ‘Connected’, as the first exhibition project in align with Mobile Asia initiative, will also include the winners of the international competition held in 2006. For the time being, the event website is in Korean, so..there’s that. It’s being translated into English presently! Glowlab just game out with their latest newsletter, including a piece by IMD luminary Marc Tuters on the Fete Mobile that he and his merry band of pneumatic Canucks conceived and built. They premiered it at last summer’s ISEA 2006 festival. 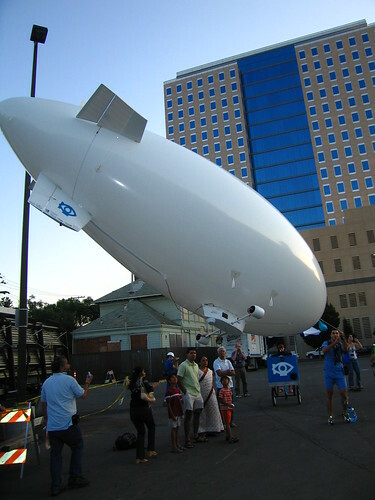 Nothing beats art in the air, particularly if it involves balloons or blimps or other inflatables. Usman Haque just reminded of his Sky Ear project, which recently appeared as a commissioned project for the Singapore Biennial. Another great inflatables art-technology project. Why do I blog this?Physical art-technology that becomes spectacular is a great way to create interesting kinds of public social formations. Are you in Amsterdam? No? If you are, please come to a public lecture I will give this evening, 6pm, at Mediamatic in the Mediamatic Night Garden / Micro-Green Restaurant Oosterdokskade 5, Amsterdam! Last minute..hope someone is there to listen! 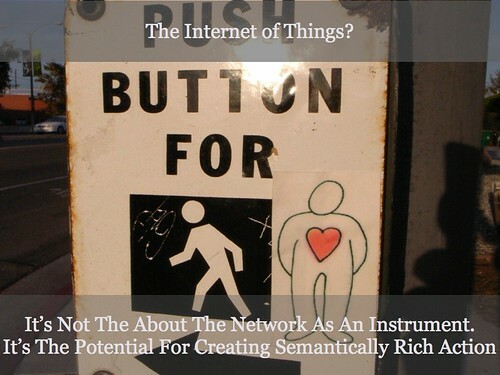 Continued musings on The Internet of Things, this time for a talk and then public lecture at Mediamatic in Amsterdam as part of their RFID & The Internet of Things workshop. What are the ways that the Internet of Things can become a playful, life-affirming, habitable way to join 1st Life activity through 2nd Life expressions? Can we have more than sedentary, locked-in-front-of-the-screen 2nd lives that do more than spin an avatar around in a dungeon land of warlocks? 2nd lives that have consequential, meaningful linkages to the world our atrophying bodies have to occupy, no matter what our WoW level is? Did we learn anything useful from South Park 1008? It was great to meet Arie Altena, Slava Kozlov and Klaas Kuitenbrouwer, and all the workshop participants.